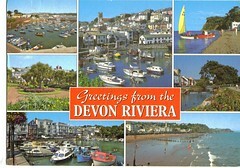 A postcard from my mate Simon who is currently taking a quick holiday in the UK. Hope you’re having a good time, Simon! Thanks for the postcard, Simon!